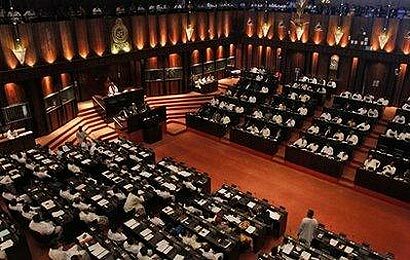 The first ever night club in the Anuradhapura sacred city had been established in the vicinity of Sri Maha Bodhi and Ruwan Weli Seya, UNP Anuradhapura District MP P. Harrision told Parliament yesterday. MP Harrison, raising a question on massage parlours in Anuradhapura, requested the government to remove the night club from its current location as it desecrated the holy city. The MP requested Minister of Indigenous Medicine Salinda Dissnayake to look into the matter and take remedial action. MP Harrison said that there were 34 massage parlours within the Anuradhapura city limits and three massage parlours in Mihintale. “It is no secret that various kinds of nefarious and immoral activities take place inside those parlours,” MP Harrison said. Minister Dissanayake said that night clubs did not come under the purview of his ministry. The ministry also had no powers to regulate massage parlours in the country because some of them had been registered under the Provincial Councils. The ministry’s authority had been limited by the devolution of powers, he claimed. The minister said that he was planning to bring forth amendments to the Ayurvedic Act to regulate around 3,000 massage parlours registered not with his ministry but with Divisional Secretariats as businesses. Only 60 massage parlours had so far been registered with the Ministry of Indigenous Medicine, the minister said, adding that around 3,000 other such places were in operation in the country. Most of them had been registered with divisional secretariats.